Polycom’s portfolio complements Plantronics perfectly, which will give the combined company a clearer path to the UC market. It's been a long and strange last couple of years for Polycom. In April 2016, Mitel announced it would plunk down a shade under $2 billion for the voice and video conferencing specialist only to have the deal scuttled by a private equity firm, Siris Captial Group, which pushed the offer to $2 billion. After the dust settled and the financial engineering was done, the final purchase price wound up being $1.7 billion, with the investors paying about half from their own fund and borrowing the other half. Polycom was a cash-rich company and had about $700M in the bank at the time, which certainly offset the purchase price. Fast forward to this week and Plantronics announced it had entered a definitive agreement to acquire Polycom for about $2 billion, which includes $948 million in cash, $362 million in Plantronics stock, and $690 million of net debt remaining from the money borrowed when Siris purchased the company (see, "Plantronics to Acquire Polycom"). My sources have told me that although Polycom struggled to grow its top line, it was more profitable than was expected. Polycom closed calendar year 2017 with $1.1 billion in revenue, gross margin of roughly 57%, and operating margin of 16%. From a private equity perspective, the operating margin is the important number, as that's the cash generated, and the 16% yielded a cool $176 million. I bring this up because when I first saw the deal announced, I thought the timing was a bit strange. Polycom CEO Mary McDowell has talked at length about the new strategy for Polycom, which was to partner with other vendors and it now has deals with Zoom, BlueJeans Network, and Amazon to complement the long-standing partnerships it's had with Microsoft and the UCaaS vendors. The timing seemed a bit strange in that the "partner first" plan really just got put in place... and if Siris and the Polycom management team believes it can be a game changer, then why sell now? Why not let it curate for a year or two and once success is proven, then sell it and cash in on even bigger rewards? However, a closer look at the numbers reveals that Siris does what all good private equity firms do, and that's take the money and don't look back. I'm not privy to exactly how much was borrowed, but let's assume $1 billion would be the high-end with Siris putting up the other $700 million. As I mentioned, there was $700 million in cash when Polycom was acquired and the company generated $176 million in cash last year, bringing the total to $876 million of cash from Polycom. Siris uses $310 million of that money to get the loan to $690 million, where it is now netting the firm a cool $566 million. The cash from the sale to Plantronics is a wash with what the investors put up, but there's also the $300 million in stock so regardless of what the exact numbers are, it's safe to say Siris made some serious coin from this -- so kudos to them. The current strategy for Polycom certainly makes sense, but it is fighting an uphill battle. The most obvious hole in the Polycom portfolio is the lack of a cloud back end. I discussed this with McDowell at Enterprise Connect 2018 earlier this month, and she said if she had the power of time travel, she would certainly go back and make that decision. 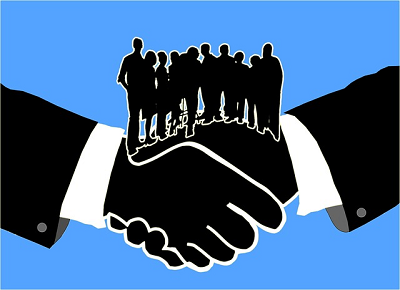 However, that ship has sailed and building a back-end cloud now would take far too long -- the best option was to partner. Polycom also missed a number of other adjacent market opportunities and should have a much stronger artificial intelligence (AI) story than it does. It has more recently been experimenting with virtual and mixed reality as a form of collaboration, but of course, those are powered by the cloud so the sins of the past are effecting Polycom's ability to innovate now. The other factor at work here is the demand for the high-end, super cool stuff Polycom makes. Logitech has become the king of the "good enough" conference room experience and it has devices for all different types of meeting spaces (including the high-end ones), but it makes most of its money selling very good quality products that meet the needs of what people want. The products are fast and easy to set up and work right out of the box. Conversely, Polycom tech is filled with super cool features like acoustic fence and auto-mute that they've had a hard time getting out in the field. I've played around with a lot of it and the stuff works, but it's largely remained a solution looking for a problem and there are two reasons for this. The first is that there is a general lack of awareness from Polycom's own customer base. I have talked to a number of them that had never heard of these. To me, this indicates a channel issue. Several years ago, Cisco gave many of its traditional A/V integrators the boot and pushed more of its business to systems integrators that were able to articulate the benefits at a business level. Most of those A/V integrators fled to Polycom but were primarily interested in selling video codecs instead of advanced solutions. The second issue is that Polycom targeted those features at places where video already exists rather than expanding the market. For example, all of the demos I saw for acoustic fence shows the video technology being used in a traditional carpeted office, where the feature is cool, but has some limited value. Instead it should have moved video to airport runways, factory floors, and other places where you can't deploy it without the use of an acoustic fence. The net result is that, despite having some of the coolest innovation and newest meeting room tools, it couldn't grow its top line and found itself getting squeezed by Logitech at the low end and Cisco at the high end. So selling now gets Siris a decent short-term return without having to worry about the impact of Cisco with the BroadSoft base, what Microsoft is doing with Lenovo, and whether Logitech is moving up-market. For Plantronics, the purchase makes some sense. While Logitech has greatly expanded its total addressable market by moving into different types of meeting rooms, Logitech is at risk of being pigeonholed as a headset pure-play. Sure, there is a tremendous amount of innovation still to be done there, but it doesn't really have a broader UC or meeting room strategy. Polycom's portfolio complements Plantronics perfectly and vice versa, and the deal can jump start the company into that UC market. The most successful companies in the digital world will be the ones with the most data and the machine learning algorithms to interpret the data. The combination of Plantronics and Polycom can generate user and meeting specific data everywhere from the board room to huddle rooms to user desktops. 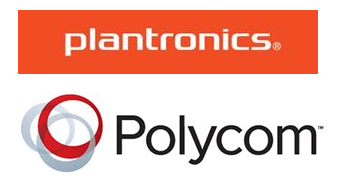 I haven't had a chance to talk to either company yet, so I am unsure of what happens to the Polycom brand, but given the recognition it has, it would make sense that Plantronics would keep it around and leave devices like Trio Polycom-branded. The acquisition of Polycom marks the end of an era. Polycom was the most influential company with respect to video and advancements in meeting spaces, but times change and the combination of Plantronics and Polycom has some interesting potential, so I'm sure there's much more to come.